and off-color local humor. Image via Barstool Sports. One month ago yesterday, we celebrated the birthday of Rosa Parks, the woman credited with launching the Civil Rights movement when she refused to relinquish her seat to a white person on a bus in Jim Crow Alabama. Sadly, since then, it’s been a pretty fucked-up month in the world of buses. Take, for example, yesterday, when Israel debuted its new segregated bus service, launching two Palestinian-only lines in the occupied West Bank. Palestinians with entry permits to work in central Israel must now all converge on one single crossing point, at Eyal near Qalqilya, where the new line operates, leading to delays. A riot broke out Tuesday morning when Palestinians discovered there were not enough buses to take them all to their jobs in Israel. According to Gal-On and other sources, the move follows pressure from Jewish settlers, who also cross from the West Bank into Israel to work, and who objected to sharing their buses with Palestinians. 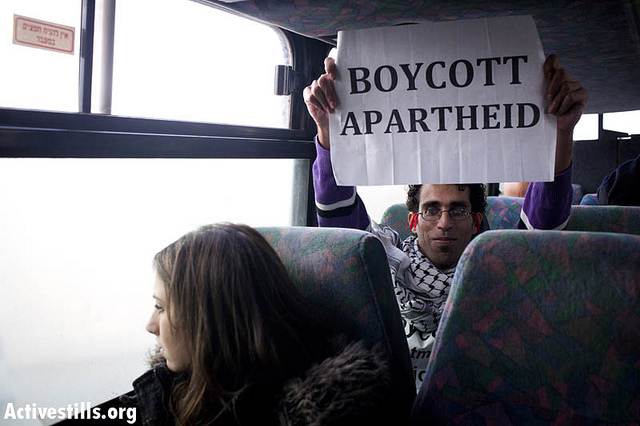 Their reason: Fear that Palestinians could leave bombs on the buses and blow them up. Right. Because everyone knows the path to peace and harmony is always paved with MOAR SEGREGATION. Meanwhile, back in the USA, another segregated bus line is having its own issues, as just last week the feds put an end to an era of uber-discount Chinese transportation service. 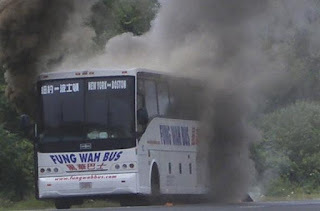 August 16, 2005: A New York-bound bus caught fire on Interstate 91 near Meriden, Connecticut. Though the passengers later criticized the driver for being unhelpful and untrained in evacuating the bus, all passengers were eventually evacuated and no injuries were reported. 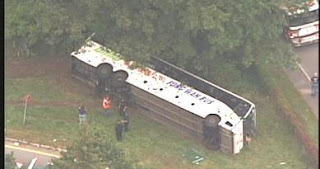 September 6, 2006: A bus rolled over in Auburn, Massachusetts and caused minor injuries to 34 passengers. Excessive speed was cited as a factor and the bus company was fined. January 3, 2007: In Framingham, Massachusetts, a New York-bound bus lost its back two wheels. No injuries were reported. 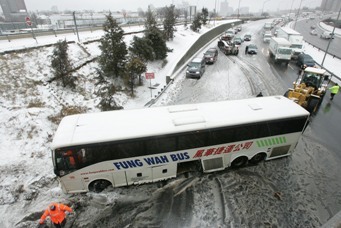 February 14, 2007: The driver of a New York-bound bus lost control in a winter storm and hit a guardrail on the Massachusetts Turnpike (I-90) in Allston, Massachusetts. No injuries were reported. March 23, 2007: A New York-bound bus got stuck on a concrete barrier in front of a tollbooth on the Massachusetts Turnpike at Route 128 in Weston, Massachusetts, when the bus drove up on a cement lane divider. The driver had entered an automobile-only lane and tried to change lanes. No one was injured in the incident, but the bus was taken out of service and passengers boarded another Fung Wah bus that arrived later. June 23, 2008: A bus loading passengers was struck by an out of control dump truck at the corner of Bowery and Canal Street in New York’s Chinatown. The force of the impact pushed the bus onto the sidewalk and into a bank. As the result of the accident, a sign attached to a light pole fell, injuring a 57-year-old woman; the woman later died as the result of a heart attack. Several people, including two police officers, were treated for minor injuries. State Department of Transportation inspectors found the dump truck, owned by CPQ Freight Systems, had eight mechanical issues including faulty brakes which led to the accident. There were no crash incidents reported to the Federal Motor Carrier Safety Administration (United States Department of Transportation) by states for 24 months prior to December 26, 2011. February 25, 2013: The company pulled nearly its entire fleet off the road with 21 of 28 buses after inspectors from the Massachusetts Department of Public Utilities found multiple structural cracks in several buses. The company reduced their service from every half hour to hour, and used rental buses in place of the fleet. 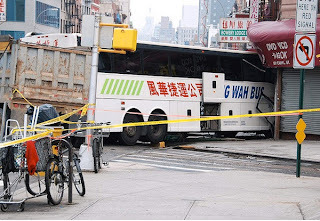 February 26, 2013: As a result of the the structural damages discovered the day before the Federal Motor Carrier Safety Administration (FMCSA) ordered Fung Wah to "immediately cease passenger service" indefinitely and park its remaining seven buses. 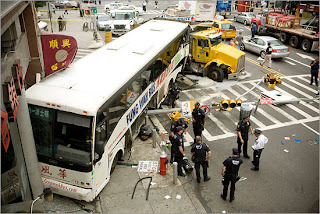 March 1, 2013: The FMCSA formally cancels the motor carrier docket (MC 405969, USDOT 954187) and operating authority of Fung Wah after Fung Wah blocked access to safety records. 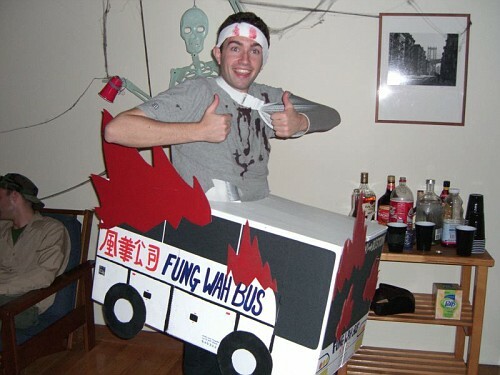 As such, Fung Wah cannot charter buses to meet service. 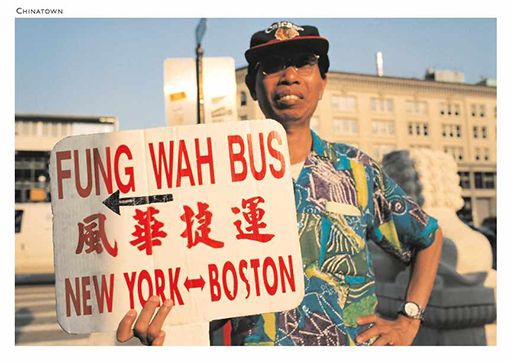 Sure, it's akin to hiring Gary Busey as your personal chauffeur, but with the competition's fares running two-to-four times what Fung Wah was charging, who wouldn't throw caution (not to mention human dignity) to the wind and take advantage of such a sweet deal? This is the first time the Department of Transportation has revoked a motor carrier’s operating authority under a law signed by President Obama last year. Oh well. It was Fung Wah it lasted.